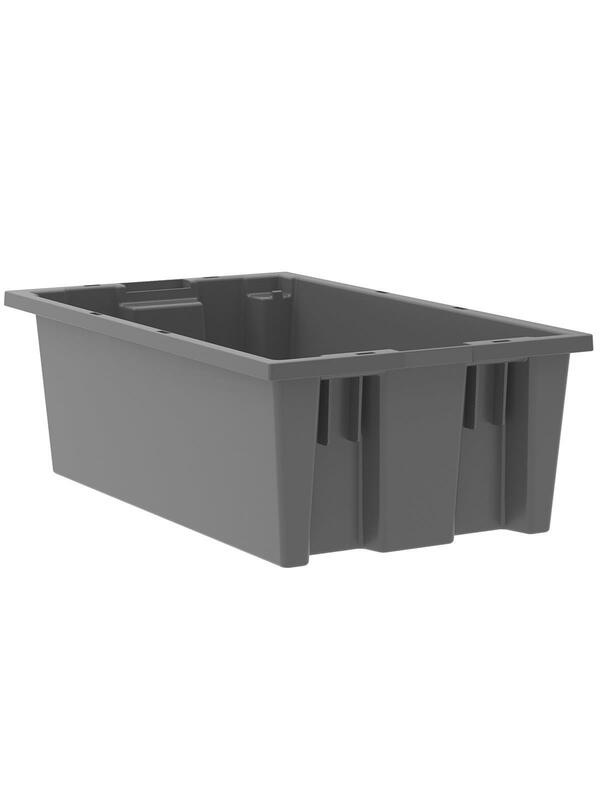 Heavy-duty industrial grade totes ideal for shipping, transfer, and storage applications. 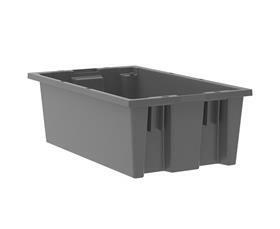 Made of durable high-density polypropylene - will not rust, corrode, or bend out of shape even when fully loaded. Heavy-duty construction provides a superior service life resulting in lower replacement costs than “budget-priced” totes. Smooth surfaces are easy to clean and are resistant to most solvents and chemicals. Available optional lids protect contents from dust and damage. Stackable with or without lids for shipping. When empty and without lids, totes nest for space saving storage. Available in Red, Blue, or Gray. Gray totes manufactured from FDA-approved materials. FOB Shipping Point. See Related Items tab for Nest and Stack Tote Lids and Nest and Stack Totes Label Holders. 18 x 11 x 6"18 11 6"